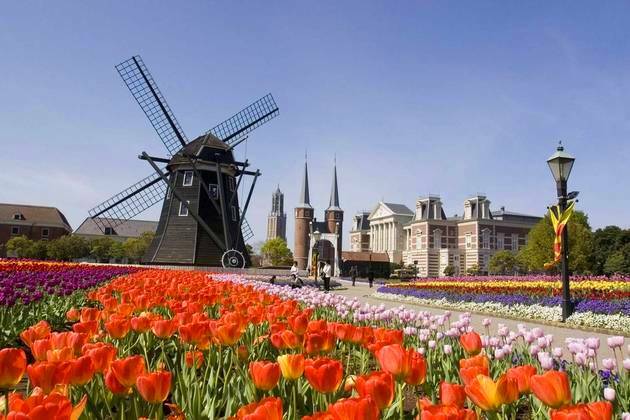 Located in the east side of South Korea and Russia, Japan shore excursions present a trip to an archipelago of nearly 7,000 islands with four largest ones namely Hokkaido, Honshu, Shikoku and Kyushu. 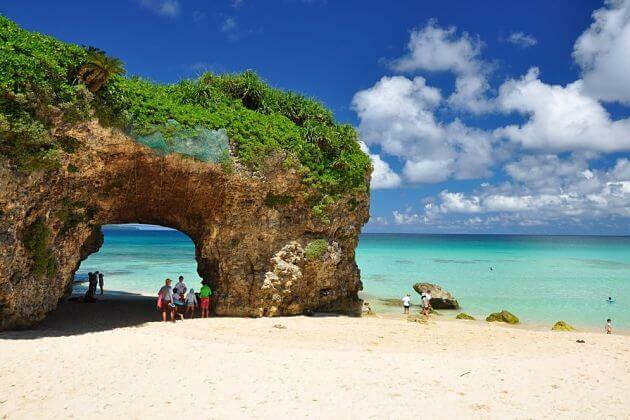 The Ryukyu Islands, which includes Okinawa, lie to the south of Kyushu. One of the most beautiful places in the world, Japan features four distinct seasons, each gorgeous in its own way. You’ll fall in love with the cherry blossoms in the spring and the colorful vibrancy of autumn leaves. Due to its extended geographical location, the far north and south in Japan shore excursions sometimes have contrasting climates at the same time. The country’s iconic landmark – a snow-capped mountain of Fuji (Fujisan) – represents the serenity and strength that underpins Japan’s everyday life. Japan is one of the most popular destinations in Asia shore excursions. Japan shore excursions provide a plenty of things and places to discover including cultural villages, heritages, religious sites, landmarks, and attractions that we would like to some typical activities below. The symbol of Japan – Mount Fuji – is the must-include in any Shimizu shore excursion. Be listed in UNESCO World Heritage Sites, the mountain has the shape of a pyramid with the top covered by beautiful white snow. If you want to get closer, climb the mountain to feel the emotionally moving. The best time to visit the Mount Fuji sightseeing tours is from July to September when the weather is not too cold and lack of rainy. The Garden located at a corner of Yunokawa Hot Spring has hundreds of monkeys with red faces and yellow hair. Even in winter, the pool is filled with hot spring water which provides a warm place for monkeys playing happily. Admire funky monkeys jumping from the pillar into the water is a lovely image that you can be unavoidably from laughing at the mischievousness of them. Of course, ramen becomes popular nowadays that you can find in many places around the world. But eating ramen in its country will bring to you the completely strange experience. There are three main reasons leading ramen ranked first place in the list of the most favorite Japanese food for foreigners, over sushi and tempura. The first reason is a delicious soup made from chicken, pork, and beef bones, shellfish, or even vegetables which combine into one, create a sweet soup without sugar. The next secret is noodles. The perfect noodles for a savory bowl of ramen have to have the exactly correct thickness, shape and are cooked in the right way with nice timing. Last but not less, the lusciousness of ramen depends on not only the way they cook but also the way you eat. Japanese usually slurp the ramen. It can be considered as an impolite action in Western and American culture, but it will slay your taste. The flavor can be much better and nail every diner of your Japan shore excursions. It is not hyperbole that Japan is the land of ancient castles. Although many repairs have been done, Japan still maintains several ancient structures from over 400 years ago. During this period, Japan consisted of dozens of small independent states leading to each Emperor have to build an inviolable structure to pretend their family and civils from enemy’s attacks. Among several castles in the whole country, the Himeji Castle is the most popular one which is also the most pristine structure that reveals the traditional Japanese architecture. Moreover, Japan shore excursions bring you to a plenty of beautiful castles including Matsumoto Castle, Nagoya Castle, Osaka Castle, Matsue Castle, Hirosaki Castle, Hikone Castle, and much more. Every castle has its own features and beauties. Some are spectacular by cherry blossom trees surrounding, while others have priceless historical meanings. However, all of them are designed following the featured Japanese style. This country is the only one in the world destroyed by atomic bombs. The two bombs were dropped on the land of Nagasaki and Hiroshima where a Peace Memorial was built soon after to remind about the victims of the bloody war. Besides the memory meaning, the Museum is covered with trees, lawns, and peaceful walking paths. The A-Bomb Dome served as a place to promote Hiroshima’s old industries. It was one of a few buildings that can stand through the bomb explosion and then is listed in UNESCO World Heritage Sites. Nearby, the Cenotaph for the A-Bomb Victims with an arched design is the tomb holding a register for the names of the victims died by the bomb. Was formerly a center of the old city’s port in the first half of the 20th century, Otaru canal served as a huge complex of warehouses containing the goods transferred by small boats. When they applied modern technology to the transportation, the canal was not used for trading purpose anymore. Thanks to the actions of local people, the canal was restored beautifully and touristy. Stroll along the canal to admire the showcase creating by amateur artists performing traditional dances, folk music, paint portraits, and so on. In the evening, when the vintage gas lamps are lighted up, the area is breathtaking with the romantic atmosphere and poetry picture of numerous fireflies jumping mischievously above the surface of the idyllic canal. Back to the childhood by strolling along the Mizuki Shigeru Road leading to the Mizuki Shigeru Museum which has the name of a famous Japanese Author who is famous for creating the manga images of ‘Yokai’ which means demon in English. Japanese people thought that Yokai not only helps people throwing away their laziness and selfishness but also realize them to protect the nature and the environment. In the museum, admire the unique and diverse artworks which represent by Mizuki with amazing philosophy and spirit, through the exhibitions and motion pictures. Then enter the darken areas with the monsters of his imagination placed on the walls and also hidden some places to make you experience every scary creature. In Japan shore excursions, you can see the climate divided into four seasons including spring, summer, autumn, and winter. However, the different is not too much between the two adjacent ones. Winter and early spring are too cold that the entire country is covered with pure white snow. While in summer and early autumn, Japan is dominated by rainfall. For overall, the best time to take a cruise to Japan tour or shore excursion to is during the time of late spring and late autumn when rain is not too much, the sky is clear, and the temperature is pleasant. Springtime is normally from mid-March to May. With the temperatures oscillate from 4 – 18°C, the weather changes frequently between day after day. The cold air in winter has not gone completely yet that you may feel cold with a little remaining snow. But some days in Japan tours, you can just wear a flimsy shirt when walking outside. Spring is the peak time of tourism due to the symbolized cherry blossoms fully blooming in most streets and corners of Japan. Local people even make a sakura bloom schedule to inform the time to visit Japan with the most spectacular view. However, this time raise the cost for traveling Japan dramatically, and the number of visitors is also extremely high. Summer in the time from June to mid-September is for summer with heat and humidity. The temperature changes from 21 to 32°C and reaches its peak from July to August. These months are also the time of heaviest rainfall in the entire country. Rain can cause difficulties and annoying feeling when you enjoy your Japan trip. However, summer is the most exotic time in the year. Blessed by rain, fauna becomes lively and full of vitality. People are also powered up with various summer festivals held around the country. 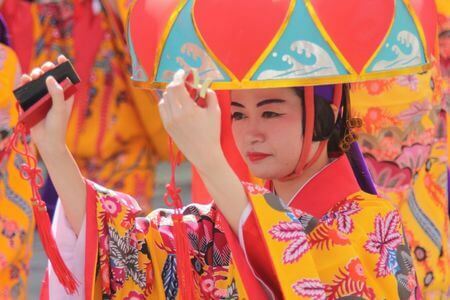 In Japan shore excursions, you can enjoy the great ones that have to mention are Gion Matsuri in Kyoto, Nebuta Matsuri in Aomori, Tenjin Matsuri in Osaka, and so on. 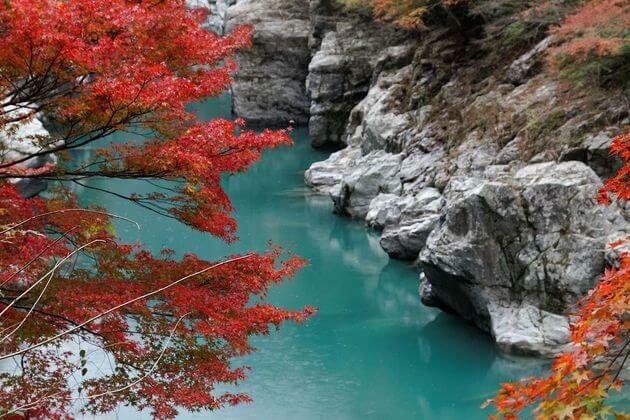 The most pleasant time in Japan tours is in autumn running during mid-September and late-November. The temperature is nicely around 10 - 21°C with lack of rain and rarely snowy. October and early November is the peak time when attracts various visitors coming to enjoy the spectacular view over the country with red and yellow leaves covering every street. Activities that are best tasted in Japan shore excursions are soaking in an outdoor onsen hot spring while marveling at the spellbinding autumn foliage - the best idea to escape from the bustling daily life and freely enjoy your own time. Winter usually runs from December to mid-March, but it is different in other places. Of course, winter is the coldest time in Japan with the thermometer usually measures from -1 – 7°C. That leads to a lack of visitors providing a huge space to experience this country all for yourself, especially the ideal time for those who hate crowd. The best activity to enjoy in Japan tours in winter is soaking in the Japanese onsen hot springs which exist in many areas such as Beppu and Hakodate. The cost of traveling to Japan is also much cheaper at this time. There are over 50 countries in the world having a passport as a visa exempt to enjoy a cruise to Japan tours including all European Union, United States, Canada, Australia, Thailand, South Korea, and so on. Citizens from these countries only need a valid passport and they will be considered as temporary visitors. Check out the list on Wikipedia. If you are not from these countries, you have to obtain a visa to visit Japan and stay up to 90 days as temporary visitors. Tourists including passengers from Japan shore excursions are ordered to bring along passports every time. The official currency of Japan is the Yen (¥). Banknotes include the denominations of 1,000 yen, 2,000 yen, 5,000 yen, and 10,000 yen. While coins have smaller values as the denominations of 1 yen, 5 yen, 10 yen, 50 yen, 100 yen, and 500 yen. Even Japan is a modern country, in Japan tours, cash is still the priority on many payment methods, especially in daily activities in small amounts. In big cities and urban areas, credit and debit cards are more acceptable that visitors can book rooms in hotels, use services on most shopping malls, restaurants, outlet stores, and large retail shops without bringing cash. Being one of the most developed in technology and economy, Japan provides internet in many places across the country. You can stay connecting to Wi-Fi while on your Japan excursions, even when you are moving on the road. Almost all hotels in this country offer free internet in guest rooms. However, there are many wireless hotspots to access along the country at a reasonable price. You can connect to internet by laptops and smartphones in public places such as train stations, subway stations, airports, and other services including hotels, restaurants, coffee shops, bars, and clubs. If you don’t want to get out of the internet anytime in your Japan tours, rent or buy a SIM card with unlimited internet access through your smartphones. Ancient and natural, modern and unique; Japan is attracting more and more tourists coming to this “Land of the Rising Sun”. Experience the ancient culture that everyone respects each other and visit various natural landscape, especially islands in this sovereign island country. As the world’s third-largest economy by nominal GDP, Japan is absolutely a modern country where have the world’s best toilets and super trains and enjoy Japan’s unique cuisine – sushi. Only travel here and immerse yourself in this country of cherry blossom, everything will be authentic, not only the words and sentences on papers. Let’s us – the Asia Shore Excursions help you to explore your Japan Shore Excursions and have the best preparation and knowledge before your journey. As the world’s tenth largest population, obviously, Japanese is the majority ethnic groups in this country which account for 98.5% of the population. In 2012, Chinese (0.5%) and Korean (0.4%) are the two largest residents in Japan. About 0.6% of the population is the other groups. Moreover, in this cherry blossom country, there are some minority groups who are Japanese citizens such as the Ainu and the Ryukyuans. The Ainu is an aboriginal people that primarily living in Hokkaido while as their name, the Ryukyuans is from the Ryukyu Islands – south of mainland Japan. Scattering in different places, these ethnic minorities diversify the ancient culture of Japan. Having the meaning as “way of the Gods”, Shinto (51.8%) is the dominated religion in Japan. Although being practiced by nearly 80% of the population, only some of them defined themselves as “Shintoists”. Because these Japanese citizens do not join in Shinto organizations as “Shinto membership”, they just attend Shinto shrines and beseech kami. Besides, around 35% of the population are Buddhists – the second largest religion. Moreover, Shinto organizations and others (4%), as well as Christianity (2.3%), are the other religions. The rest of the citizens has no answer to the survey about their beliefs. Being ranked as “the safest country in the world” by a 2014 organization of Economic Cooperation and Development study, Japan is also the second-lowest homicide and assault rate country. Tourists can definitely enjoy the safety in this highly developed and modern country. Having a skillful workforce and being the most highly educated countries in the world are maybe the reasons for this safety. Between 8 am and 9 am in the morning and shortly after 5 pm in the evening are the weekday rush hours peak. Tokyo is the most extreme in rush hours and also pretty heavy in Japan’s other major cities. Luckily, there are no business rush hours at weekends and on public holidays. Therefore, you should avoid the morning rush hours if possible especially when traveling with luggage and small children because you will hardly move. If you want to save time while in Japan tours, you should use this rechargeable card. You can use it to pay for your public transportation such as subway, train or bus; pay for restaurants, convenience stores as well as buy drinks from the vending machine. The best part is that you can return this card to any JR operator and ask for a cash-back as well as 500 yen for the deposit which you need to pay to get this card. You are recommended to learn some basic phrases in Japanese to somehow recognize keywords and communicate with the local people. Because not everywhere will write in English and not everyone can speak English. You won’t always find an English translation. This tip always works well on any Japan tour. Please remove your shoes whenever you enter a home in the Asian country in general and in Japan in particular. Otherwise, you will consider as disrespect the owners. Moreover, in Japan, you do not need to tip for the service staff such as waiters or hotel staff. If you do so, your server will run after you to give you the money back, they will not take it. A small gift instead of tips will be highly appreciated when you want to thank someone. Moreover, remember to speak quietly to the public and do not point at people and things when you are in Japan tours.